Apple is almost ready to drop OS X Mavericks on the public, so much so that it is already beginning development on a follow up release. Mavericks has been long expected to release at the end of this month, coming packed with "over 200 new features" including some that are yet to be announced. One of the unannounced features is expected to bring the ability to block particular phone numbers and Apple IDs through both the Messages and FaceTime apps. Today's report says OS X 10.9 Mavericks could be reaching Golden Master status as early as this weekend and that it is already being seeded to developers. For those that don't know, the status basically indicates that the product is ready for the public. 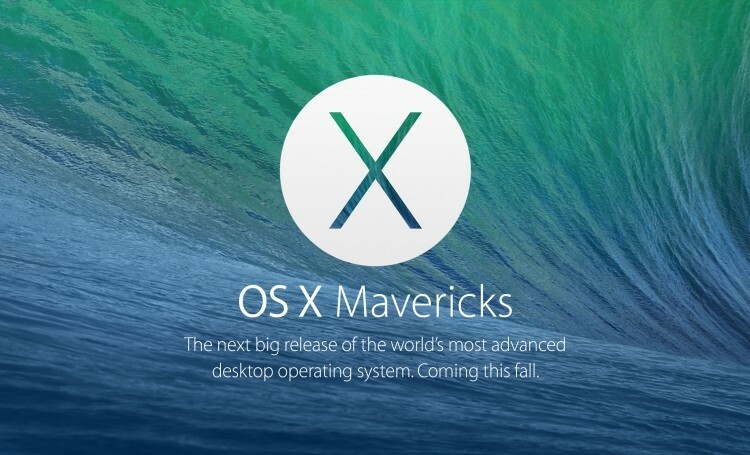 According to the report's sources, Mavericks was expected to reach this status a few weeks ago now, but bugs continued to delay the release. The report also points at Apple moving ahead on OS X version 10.10 (codenamed Syrah). It is expected that Apple will continue to bring elements of iOS 7 and iCloud into the follow up to Mavericks. After the release of iOS 7, the company is already said to be transferring resources and personnel over to OS X 10.10 and iOS 8. Many believe Apple will continue the tradition of announcing 10.10 at WWDC 2014 alongside a new version of its mobile operating system.